National budget is a growth influencer, but in Nigeria, with the concentration of resources at the centre and the associated undercurrents, it has turned to a harbinger of underdevelopment, following poor implementations over the years. Assistant Editor, Finance and Economy, CHIJIOKE NELSON writes on the unending trend and how the 2019 version would sustain the pattern of dismal execution. Boni Irikafe is a retired directorate level federal civil servant, who now co-promotes an investment bank located in the city of Lagos. He now realises what delayed budget does to businesses and economy and recounts lost opportunities. The national budget is a deliberate estimate of the course of action of a government in the form of planned revenue, proposed expenditure and debts financing, when necessary, over a fiscal year. This course of action has become a serial controversy, especially how capital expenditure votes suffer implementation inertia year after year, while the fiscal document is yearly infiltrated with repetitions, ambiguous terms, bogus allocations for some items and paltry sum for others. Besides, the serial delay in approving the document that has defied the four-year old administration of President Muhammadu Buhari and his “Change” mantra, has continued to jolt the business community. “For one thing, national resources are concentrated at the centre. Until government signs a budget, all economic agents will only speculate and most businesses, if not all, do not thrive with guesswork. Now, my company uses estimates and historical methods to plan, pending the approval of budget. “We have always ended up readjusting our projections. Our foreign partners and clients would be hesitant despite assurances, because they would always insist on certainty, not assumed numbers,” Irikafe added. 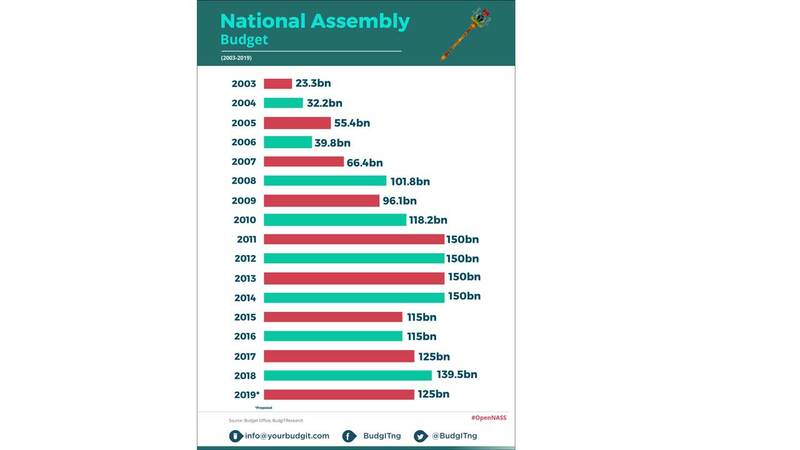 Though the country’s budget presentation to the National Assembly had usually run counter to the Fiscal Responsibility Act, it was worse with the 2019 budget document, which was presented on December 17, 2018. This was caught between legislative recess and general elections. The first legislative mention was March 12, 2019, an indication of the usual trajectory. An economist, Dr. Uzochukwu Amakom, at the 2019 budget summit, organised by the Centre for Social Justice, in conjunction with Friedrich Ebert Stiftung, Nigeria Office, told The Guardian that budget is an important document in every economy, which dictates the decisions of not only the public sector, but also those of the private sector. “In Nigeria, the budget, since return to democracy, has reflected a tussle between politics and economics, with the former prevailing over the latter. To an average Nigerian, including entrepreneurs, investors and the Organised Private Sector, the credibility of the document is doubtful. There exist large variances between the projected parameters and the actual results over the years,” he said. In the 2019 budget proposal, oil price is benchmarked against $60 per barrel, currently around $70, after trading far below $60 for one full month this year. It is worth noting that over 90 per cent of foreign exchange earnings come from oil sector and over 70 per cent of national income is generated there too. Oil production estimate of 2.3 million barrels per day (mbpd), including condensates, is currently at 1.9mbpd, indicating unrealistic projection that would distort the system as usual, as such production level has never been met in the last five years. More so, the global oil cartel has capped production in Nigeria at below 1.8mbpd, while the United States has used increased Shale production to checkmate price changes occasioned by supply shortfalls. So, price of crude oil is largely uncertain. There is also alleged double standard in exchange rate projection of N305/$ (currently at N306.75), as all Eurobond debts’ proceeds are usually converted at nearly the market rates in the bureau de change sector- N360/$. Also, there is the projection of real Gross Domestic Product (GDP) growth at 3.01 per cent and currently at less than two per cent for 2018, against the projection of the Economic Recovery and Growth Plan, which targets about five per cent in 2019 and seven per cent in 2020. These yearly projections, appropriations and patterns have consistently failed overtime. It is now a trend, thereby raising the questions of political will to cause change; the capacity of the budget crafters; and the genuineness of the projections, especially as the economy remains exposed to development challenges. general elections, when governance was highly on the sidelines. The Fiscal Responsibility Act 2007 provides that the Medium Term Expenditure Framework (MTEF), which shall be the basis for the preparation of the yearly budget, shall be ready before the end of the second quarter (June). A fact check by The Guardian showed that as at the middle of October, there was no mention of MTEF in public circle, which is an indication of poor preparations. But the dramatic turn of its approval and compilation of the fiscal appropriation proposal in less than three months, call to question when and how the stakeholders’ inputs were aggregated for a guide into the 2019 items and numbers. This is a general ugly trend over the years. 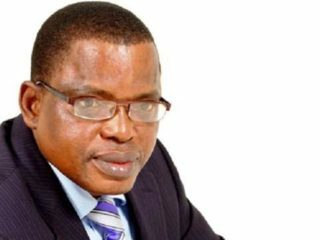 The Programme Officer, Public Finance Management at CSJ, Fidelis Onyjegbu, said the nation’s budget presentation has been reduced to a show for the fun of it and to fulfill all righteousness, adding that there is nothing to be optimistic about in presenting the budget on December 19, to lawmakers. “Of course, it is a fact that once the season of campaigns arrive, both the legislature and executive would kick the budget out of the way, until the elections are. Unfortunately, it is development issues and future that they kicked aside. March has ended and we are still talking about budget. This is the tradition over the years,” he said. The truth is that the 2019 budget proposal, as presented in December 2018, was just mere guesswork, because the MTEF, which forms the basis for its preparation, was just approved last week. What a violation of the law! The president had in November 2017, while presenting the 2018 budget proposal, indicated his intention to return the financial year to the January-December timeline and blamed the NASS for the delayed approval of the budget. Despite the repeatedly failed promises, the current delay in presentation, which was worse than other years, has indirectly exonerated the lawmakers and shows lack of commitment to effect the change. Besides, for sitting atop an amendment that proposed a new sub-section and timeline for federal and states’ lawmakers to pass the budget, without explanation, his political will to stand by his promises is doubtful. An Abuja-based development consultant, Jide Ojo, said it is quite unfortunate that instead of Nigeria to move to the January-December budget cycle, the process has worsened under this administration. “Even the presentation of the budget on December 19, was threatened by the strike of Parliamentary Staff Association of Nigeria and walk out by members of House of Representatives. The executive that has been tardy with the budget preparations is to blame. “The 2019–2021 MTEF and Fiscal Strategy Paper (FSP) was sent to the NASS on November 6, 2018. This delayed budget presentation is a blatant breach of Fiscal Responsibility Act 2007. This uncoordinated and capricious budgeting by the Federal Government will impact negatively on the implementation and performance of the Economic Recovery and Growth Plan,” he said. About N74.16 billion has been flagged as frivolous, inappropriate, unclear and wasteful, among the lines items that dotted the nation’s appropriation bill. The Centre for Social Justice (CSJ) and its partners, the Citizens Wealth Platform, sustained their yearly vetting of the national budget plan, discovering 117 questionable line items in a document that is being distributed among the lawmakers. Shortly before the belated approval of the Medium Term Expenditure Framework (MTEF) last week, the Sylvester Ogbaga-led House of Representatives Committee on Commerce raised the alarm over a N14 billion transfer by the Ministry of Industry, Trade and Investments, which status- appropriated, vired or kept with Nigeria Export Processing Zones Authority, was unknown. The development, which led to a 24-hour ultimatum on the minister, to explain the ministry’s spending in 2018 and proposed budget for 2019, is yet to be resolved. The committee is also querying Federal Government’s full payment of N14 billion counterpart fund in a Public-Private Partnership business, with private ownership of 75 per cent share and no financial commitment, while two persons associated with minister are directors. Many insider abuses like this have gone unnoticed and covered up in the national budget over the years, yet key government officials, especially those in charge of budget openly deny the existence of questionable items in the fiscal document. Besides, virtually every Ministry, Department and Agency (MDA) got a vote for clothing and uniforms, with a total vote of N3.277 billion, even when most MDAs have no need for uniforms and clothing. The Public Complaints Commission had a bulk sum of N4.2 billion, with no details, the same argument that now seeks to compel the National Assembly to disclose the details of its budget. The Independent National Electoral Commission made a bulk sum of N45.5 billion; National Judicial Council- Abuja, N110 billion; and Niger Delta Development Commission, N95.19 billion. The Niger Delta Development Commission has a vote of N95.188billion; Ministry of Niger Delta gets N41.60billion; while the Amnesty Programme has a vote of N65 billion. The total of these figures for the Niger Delta comes up to N201.789billion. The Niger Delta Master Plan should be the basis of budgeting instead of the current uncoordinated approach. At the Office of the Secretary to the Government of the Federation, a provision for the North East Development Commission worth N10 billion was made, when the Service Wide Vote at N45 billion has captured the same. Also, provisions in the Service Wide Votes like the Sustainable Development Goals, North East interventions have no details, but are stated as lump sums. The Ministry of Agriculture allocated various hefty sums for undefined value chains. 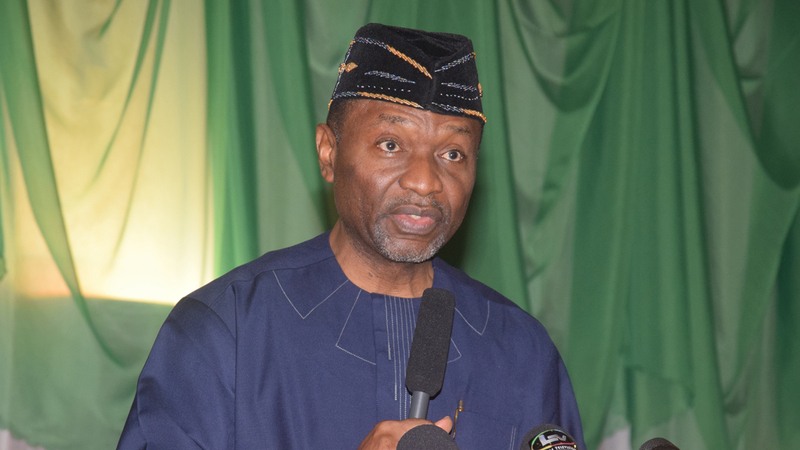 The Federal Government’s retained revenue was projected at N6.97 trillion in 2019, which is three per cent lower than the 2018 estimate at N7.17 trillion). This year’s projection consisted of oil revenue at N3.73 trillion and non-oil revenue at N1.39 trillion. Other revenues expected in 2019 include various recoveries of N38 billion; proceeds from the restructuring of government’s equity in Joint Ventures, N710 billion; and other sundry incomes of N104.11 billion. It is pertinent to state that revenue projections undergird a budget and the variance between projected revenue and the actual realised should not be very wide and if at all, it must not become a trend. Not more than a five per cent variance may be tolerated as a good and fit practice, considering that we are running a human system, which may never attain perfection. This is not to be for the country. But the Director-General of the Budget Office of the Federation, Ben Akabueze, insisted that the underlying drivers of the 2019 revenue projections, such as oil price benchmark of $60/b; oil production of 2.3mbpd; exchange rate of N305 per dollar; growth rate of 3.01 per cent; and inflation rate of 9.98 per cent were projected to reflect current and near-term realities on the global and domestic fronts. “Notwithstanding the recent softening in international oil prices, the considered view of most reputable oil industry analysts is that the downward trend in price towards the end of 2018, is not necessarily reflective of the outlook for all of 2019. “However, we will closely monitor the situation and will respond to any changes in the international oil price outlook for 2019. Mr. President has directed the NNPC to take all possible measures to achieve the targeted oil production of 2.3 million barrels per day (mbpd), given that the technical capacity to produce up to 2.5 mbpd exists. “Government will intensify its efforts at pursuing a non-oil revenue driven economy. The medium-term goal is to ensure that the recurrent budget can be funded with non-oil revenues. “Our approach is to open up new opportunities for non-oil activities and optimise efficiency in non-oil revenue collections, particularly by expanding the tax base and strengthening tax administration. Of course, there may also be some upward adjustment in the Value Added Tax (VAT) and Excise rates,” he said. But these contrast with ongoing developments. First, the Chairman of Federal Inland Revenue Services, Babatunde Fowler, has denied plans to increase. This came after a mass of pressure was put on government’s plan, citing the economic hardship in the land. Still, in what appears like a losing streak for VAT plans at the lottery and gaming sub-sector, the operators described the automated collection process of the Federal Inland Revenue Service (FIRS) as lacking in consultations and would not work well. The founder of Nairabet and House of Representatives member-elect, Akin Alabi, said the potential reduction in hoped-for winnings, especially on low-odds bets, would drive customers from regulated operators into the hands of unregulated ones. According to him, FIRS should have consulted operators before taking the decision to impose five per cent VAT and the automation of collection. In retrospect, the 2017 Budget Implementation Report showed that out of projected retained revenue of N5.08 trillion, only N2.37 trillion was realised, being 46.75 per cent of the projected revenue and a variance of 53 per cent. When other non-budgeted revenue heads like refund from the Nigerian National Petroleum Corporation and exchange rate differential, were added, it came up to N2.66 trillion, being a paltry 52.27 per cent of the budgeted revenue and a variance of about 48 per cent. The components of this revenue big picture that created the hole started with government’s share of oil revenue, projected at N2.12 trillion, which returned only N1.13 trillion- 53.01 per cent, leaving a variance of 47 per cent. Non-oil revenue projection was N1.41 trillion, but the actual figure showed N956.67 billion, that is, 67.82 per cent performance leaving a gap of 32 per cent. The expectation from VAT was N241.92 billion, while N130.05 billion was realised, being 53.75 per cent performance; company income tax at N807.82 billion, recorded N543.34 billion; customs and excise was projected at N277.56 billion, while the actual was N261.41 billion. The perennial underperformer was independent revenue, which had a projection of N807.57 billion, while the actual was N295.29 billion, being a performance of 36.5 per cent. These poor records were noticed in all the quarterly budget implementation reports of 2018 so far accessed, but more worrisome is that the stage is set for the trend to continue in 2019. First, it was too ambitious for the budget managers to benchmark crude oil price at $60 per barrel against global oil price forecast at $61 per barrel. Nearly all the crude oil trading contracts in the first two months of 2019 were done below $55 per barrel. How would the country recoup the lost dollars that are already earmarked in the budget? These continue to throw up questions about capacity, ingenuity and leadership commitment to using the budget to influence economic development. The Guardian’s analysis of government’s 2017 expenditure side showed that personnel costs were projected at N1.88 trillion, while the actual is N1.87 trillion, representing 99 per cent performance. There were debt projections at N1.66 trillion and an actual figure of N1.64 trillion- 98 per cent performance, but excludes other peripheral debt items that ballooned the figure further. This means that the combination of personnel expenditure and debt repayment amounted to N3.51 trillion, exceeding the realised overall revenue by N845 billion. The implication is that the country borrowed to the tune of N844.88 billion to pay salaries and debts. Also, whatever was spent on capital expenditure was borrowed. If we are not raising enough money to repay toady’s debts, how shall we pay back bigger debts tomorrow with an economy that is losing steam, with citizens and investor’s confidence at an all-time low? The Lead Director at Centre for Social Justice, Eze Onyekpere, pointed out that the figures, which have become yearly trend, were worrisome and worth raising alarm for, as they are not sustainable either in the short, medium or long term and totally unacceptable for a country of this size, with available resources and aspiration of Nigeria. “The figures show that our budget is a huge joke. Projections are never near the actual and the budget is reduced to a mere exercise in projecting for what is not realisable. We are borrowing to pay salaries and repay previous debts and all talks about executing capital projects are deceitful if they are based on borrowing. “The debt is growing at an unprecedented scale and in geometrical proportions and no one seems to care. The unexecuted 2018 federal budget is going to be heavily reliant on borrowing, while 2019 will follow the same trajectory. 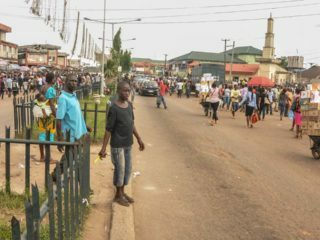 “Unfortunately, Bloomberg.com on February 22, 2019, published an article that estimated six Nigerians in every minute falling into extreme poverty,” he said. As an inclusive growth-oriented document, every version of the national budget must prioritise the rural poor. It’s sad to say that education and health sectors’ budgets have not only betrayed international treaties the country is signatory to, but have neglected issues that can trigger mass disorder. For example, the proposal on the health sector, currently at the National Assembly, has been described as a tacit support for the huge and ongoing foreign exchange outflow through medical tourism, at the detriment of the economy. It also portends a gloomy future for mothers and newborns, as well as the overall human development index of the citizenry, as a paltry provision at N366 billion for the nation’s health system would soon throw up more challenges. Foreign donors are fast-withdrawing their support, because of a mix of allegations of non-transparent implementations of previous donations and the country’s new classification, which put it out of the lower income countries, although it is atop the ranking of poorest people on earth. A civil society activist, Dr. David Agu, said the health sector’s total budgetary allocations at N370 billion fell by N1.05 trillion in 2019 proposal, compared to N1.42 trillion recommended, with some critical line items related to the rural mass being neglected. “For a nation like Nigeria, with this huge population, to propose N15 billion against N189.8 billion for immunisation and N1.2 billion, against N18 billion recommendation to provide for family planning is a far cry. Also, proposing N124 million against N100 billion recommendations for HIV testing; N7.6 billion, in place of N120 billion for HIV treatments; and N2.35 billion, against N6.2 billion recommendations for VVF treatment are plans for health crisis in the country,” he said. With improvement in child healthcare and emphasis on the achievement of the Millennium Development Goals, the number of under-five deaths that occurred in the world declined to 5.42 million as at 2017. Unfortunately, about 2.79 million under-five deaths, representing 51.61 per cent of global record occurred in sub-Saharan Africa (SSA) as at 2017. 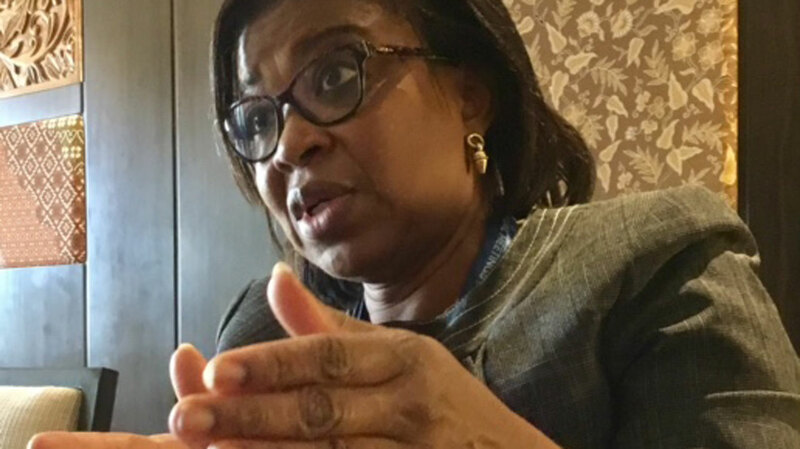 Out of this, about 714,188 under-five deaths, representing 13.18 per cent of global record and 25.55 per cent of sub-region’s record occurred in Nigeria as at 2017. Also, about 465,681 infant deaths representing 11.40 per cent of global record and 24.11 per cent of SSA’s record occurred in Nigeria as at 2017. These were, indeed, on the increase and have merited the country the notoriety for a dangerous place for mother and child. Is it not time the budget is used for the masses? “The envelop allocated to the health sector is way below the recommended amount, so certain line items should be given priority in terms of spending of the lean envelop. “Revise the proposed budget to make every unit of spending count for the wellbeing of Nigerians in 2019. Identify and remove all wasteful, frivolous, unclear and inappropriate line items and channel the recovered funds to the already identified priority items in the CSOs’ memorandum on Health Sector MTSS 2019- 2021,” Agu added. 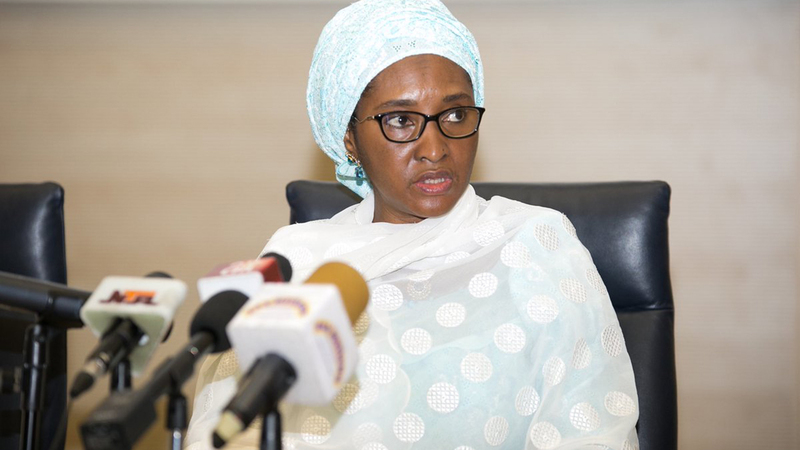 When the Minister of Finance, Mrs. Zainab Ahmed, was confronted byThe Guardian on debt and budget issues, she repeatedly said that the country has no debt profile to be afraid of, much less of becoming a crisis. But she admitted there was revenue crisis and in reality, her response was an approach to fend off fearful realities that confounded the economy. Granted, Nigeria’s debt to Gross Domestic Product (GDP) ratio is below the international threshold, but that does not determine ability to pay. Only revenue stream does. Given the current low fiscal capacity, as admitted by her, it becomes contradictory to affirm revenue crisis, but deny debt crisis. It is living in denial to use 68 per cent of revenue to service debts, crowding out investible funds and perpetually live by borrowing. Mr. Martins Eke of the Citizen Wealth Platform said it is an unfortunate situation to go back to the scenario before the 2005 debt relief. “The current administration ramped up domestic and foreign borrowing and has not come up with any feasible funding alterative to reduce the deficit financing of the budget. “We are currently paying debts with 68 per cent of our retained revenue. In essence, we are using up 68 kobo out of every 100 kobo earned by the country to service debts. And the irony is that we are still borrowing more, thereby increasing the percentage of retained revenue that will be required to service debts in the future,” he said. 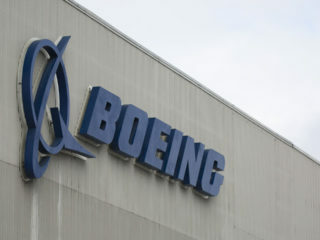 The continued shallow revenue base and admittances by government officials that the much-touted diversification and its benefits would remain deferred due to long-term nature of investments, continue to call to question the implementation of the more than N10 trillion debt deals in the last four years. While the minister affirmed that all the Eurobond proceeds were programmed for capital expenditure implementations, from 2017 to 2018, the questions about which projects, where, when and how much per project continue to linger till date. This has remained the challenge of the country’s utilisation of debt proceeds and its transparent reporting, as discordant tunes over parlous infrastructure linger. The routine of delayed budget implementation report, spanning several administrations, with capital budget releases that are devoid of specifics, have created more suspicions, especially with observed non-incremental in infrastructure stock. After six months she made this pledge in far away Indonesia, on the sidelines of the International Monetary Fund and World Bank Group meetings, she is yet to make good her words. The National Assembly (NASS), an arm of government that is supposed to uphold accountability and symbol of transparency, has remained an “impregnable black box,” which defies public scrutiny with its budget issues. It is their “share of national cake” and dictated by them. What an irony. The lawmakers, beside being ranked as world’s top-paid legislators, at public expense, according to BudgIT, a civic organisation, their yearly budget is a one-line statutory transfer, which is neither reviewed by any authority, nor at the very least, made accessible to the public, thus enabling unbridled corruption. The Communications Associate at BudgIT, Shakir Akorede, told The Guardian that at this age of digital governance and global calls for transparency in public institutions, it is a national disrepute that the parliament has refused to eschew anti-democratic practices, as it continues to bury its yearly allocations under the hallowed chambers. “More disappointing is the fact that, despite Nigeria’s membership in Open Government Partnership and tonnes of pledges by the Senate leadership to run an ‘open NASS,’ everything has relapsed to default setting, after a breakdown of the budget was made public in 2017,” he said. Just last week, the Senate President, Bukola Saraki, announced that the 2018 budget of the National Assembly, has been released. This was the first time and the only fiscal year to be released since 1999. But Akorede added: “Objectively speaking, what the Senate President has done is a right step in the direction of transparency and accountability, which we have reached a new agreement with him. But we have perused the released document, and I can tell you it’s a tip of the iceberg. “We are not fully satisfied in that the financial account, is full of grey areas. To be exact, the details are not enough. Item-by-item figures are missing. It is not enough to see what goes to the Senate, House of Representatives and whatnot. A full breakdown of the figures is the true execution of #OpenNASS.